Must manual adjust charge current, difficult to full charge and avoid over charge the battery. Silicon controlled rectifier adjusts the AC mains supply to charge battery directly. Then there is not isolation with AC mains supply which is dangerous to get an electric shock. And it will damage the AC mains supply waveform. 2. Over discharge, over charge and longtime non full charge to battery will shorten the battery lifespan. So choose a good performance charger is very important. 3. 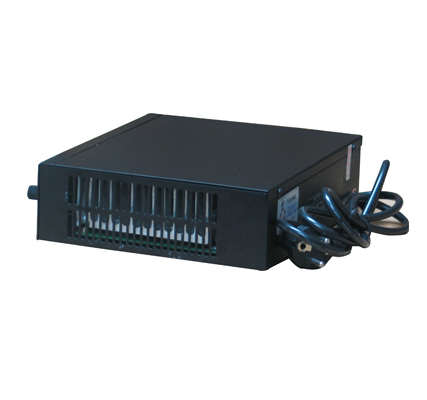 YK-CD Series full automatic battery charger uses the advanced non industrial frequency transformer switching power supply technology. It has small volume, low weight and high efficiency. Combining with the intelligent charge technology, it can prolong the lifespan of battery and full charge the battery. Over discharge protection, charging current adjustable, specially suitable for the unattended site. 4. 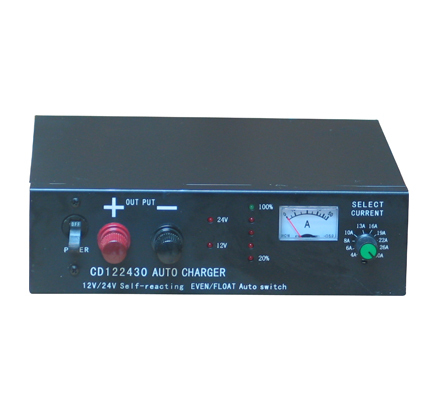 12V/24V 30A automatic battery float charger can connect with the battery to keep full charge long time. Suitable for assistant start-up power supply and complementary charge power supply such as car or generator etc. 5. 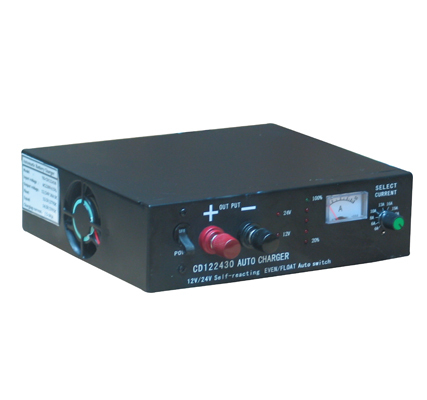 This full automatic charger suitable for the capability 12V/24V (20～1000)Ah unsealed or sealed battery, for charge temporarily and long time. B. Charge battery strictly according to Charging Curve. C. The charging process is “(preset) constant current→(reach to equal charge constant voltage value)constant voltage reduce current→(automatic switch)float charge”. D. Charging current: 4A、6A、8A、10A、13A、16A、19A、22A、26A、30A total 10 levels optional. When in constant current charging status, the current is constant. No need manual adjustment. F. Intelligent temperature controlled fan and over temperature automatic shut off protection. G. Output short circuit protection and polarity reverse protection. 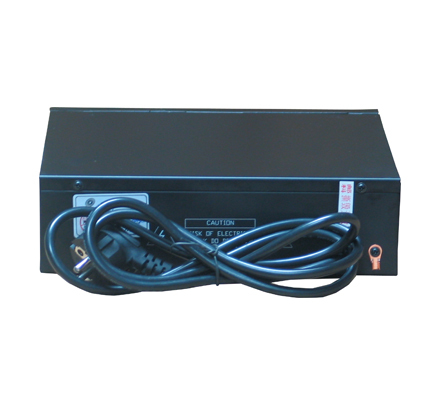 H. 12V/24V 30A automatic battery float charger suitable for assistant start-up power supply and complementary charge power supply such as car or generator etc.